The Best Hepatitis C blogs from thousands of top Hepatitis C blogs in our index using search and social metrics. Data will be refreshed once a week. Philadelphia, PA About Blog Hepatitis C patient resources including symptoms, diagnosis, treatment, community, expert answers, daily articles. Facebook fans 29,359. Twitter followers n/a. San Francisco About Blog The latest news on hepatitis C and co-infection, research, drugs in development, treatment side effects and interferon-free direct antiviral combinations. Facebook fans 1,494. Twitter followers 1,802. About Blog This blog links to patient friendly commentary about current HCV treatment options, using information extracted from news articles, peer-reviewed journals, liver meetings/conferences, and interactive learning activities. Facebook fans n/a. Twitter followers 2,665. Texas About Blog Life beyond Hepatitis C is dedicated to encourage others through Jesus Christ to live beyond our circumstances. Its mission is to serve the whole person, spiritually, emotionally, mentally and physically while helping them through the Hep C journey of diagnosis, tests, preparing for treatment, treatment and recovery. Facebook fans 1,055. Twitter followers 1,220. About Blog The latest research & treatment news about Hepatitis C infection, diagnosis, transmission, symptoms and treatment. Facebook fans 4,813. Twitter followers 4,369. United States About Blog The MD Magazine Hepatitis C condition center provides clinical news and articles, information about upcoming conferences and meetings, updated clinical trial listings, and other resources. Facebook fans 4,669. Twitter followers 5,641. Oklahoma About Blog This blog's mission is to offer support, hope, information, and encouragement to those who are dealing with liver disease, cancer, or transplant from Hepatitis C and Cirrhosis. Facebook fans 1,251. Twitter followers 1,962. London & Falkirk About Blog The Hepatitis C Trust is the only UK charity for hepatitis C. For patients by patients. It is an entirely patient-led and patient-run organisation. The Trust's mission is to reverse the rapidly increasing death toll caused by hepatitis C in the UK until no-one dies from this preventable and treatable disease and, ultimately, it is all but eradicated in this country. Facebook fans 4,855. Twitter followers 4,637. Columbia About Blog The Hepatitis C Treatment Information Project highlights the most advanced hep C resources, from treatments and clinical trials to support, available. Facebook fans 736. Twitter followers 973. Victoria, BC About Blog HepCBC is a non-profit organization run by and for people infected and affected by hepatitis C. Its mission is to provide education, prevention and support to those living with HCV. Facebook fans 473. Twitter followers 1,040. Dallas, TX About Blog Hepatitis News Today is strictly a news and information website about the disease. Grass Valley, CA About Blog My name is Lucinda Porter and I am a nurse committed to raising awareness about hepatitis C. I believe that we can create a world free of hepatitis C.
Facebook fans 1,122. Twitter followers 1,882. About Blog Hepatitis C viraemia is carbohydrate-dependent because the virus piggy-backs on triglyceride assembly and VLDL exocytosis. This makes a very low carbohydrate diet an effective way to control HCV viraemia, HCV-associated autoimmune syndromes, and steatosis. Facebook fans n/a. Twitter followers 3,229. New York, NY About Blog The Hepatitis C Mentor and Support Group was founded to address the lack of education and supportive services for people living with Hepatitis C and Co-infection, HCV/HIV. Facebook fans 456. Twitter followers 1,365. British Columbia About Blog PHCN is a non-profit, provincial network focused on issues related to hep C in BC. PHCN exists to support a community-based response to hep C in BC. New Delhi, India About Blog This blog provides information and medicine about Hepatitis C.
Sunshine Coast About Blog This blog is dedicated to the millions of Baby Boomers who contracted hepatitis C and to the boom in medical research that could cure them. 19. C Anything But Average - Five failed treatments won't stop me, Lets go ROUND SIX! San Diego About Blog My journey with Hepatitis C, Incivek, Sovaldi, Olysio , Harvoni, decompensated liver, MELD 19 , Cirrhosis, Ascities, Varicies & Encephalopathy. 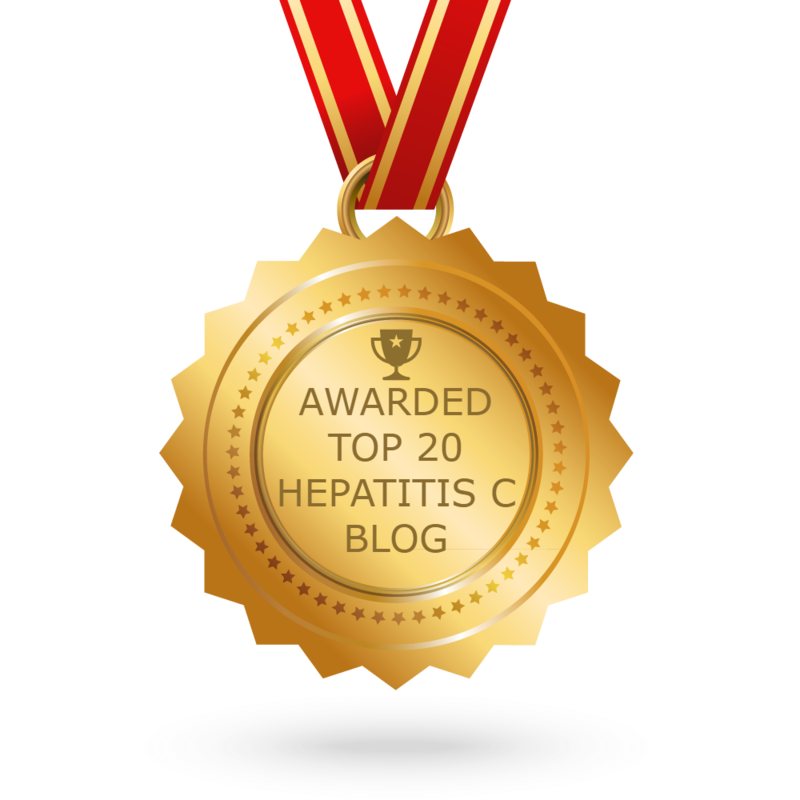 CONGRATULATIONS to every blogger that has made this Top Hepatitis C Blogs list! This is the most comprehensive list of best Hepatitis C blogs on the internet and I’m honoured to have you as part of this! I personally give you a high-five and want to thank you for your contribution to this world.